Solid bubinga table with bent-laminated stretcher, asymetrical bases. 11 feet long by 34 inches wide. 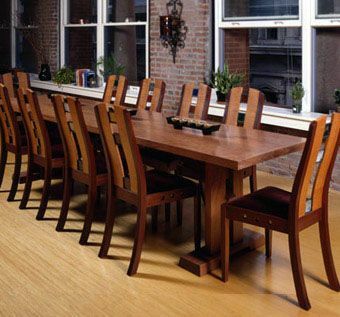 Ten chairs in mahogany, lacewood and stained glass.